An ideal resource for courses on Hinduism or world religions, this accessible volume spans the entire field of Hindu studies. It provides a forum for the best scholars in the world to make their views and research available to a wider audience. 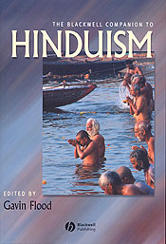 Comprehensively covers the textual traditions of Hinduism. Features four coherent sections covering theoretical issues, textual traditions, science and philosophy, and Hindu society and politics. Reflects the trend away from essentialist understandings of Hinduism towards tradition and regional-specific studies. Includes material on Hindu folk religions and stresses the importance of region in analyzing Hinduism Ideal for use on university courses.